Two Dozen Evangelical Christian Leaders: "Stop Duane Buck's Execution"
The Evangelical Christian leaders who are advocating for Mr. Buck include: Jay Sekulow, Chief Counsel for the American Center for Law and Justice, Lynne Hybels, Co-founder of Willow Creek Community Church, Shane Claiborne, The Simple Way, Hector Chiesa, President, Radio Vision Cristiana, Paul Basden and Jim Johnson, Pastors of Preston Trail Community Church; Chris Seay, Pastor of Ecclesia Houston; Robert Hunt, Director of Global Theological Education at Southern Methodist University; David Gushee, Director of the Center for Theology and Public Life at Mercer University; and Gabriel Salguero, President of the National Latino Evangelical Coalition. Their plea comes in the wake of Wednesday’s decision by a splintered Texas Court of Criminal Appeals to dismiss Mr. Buck’s appeal. The Evangelical Christian leaders join more than one hundred civil rights leaders, faith leaders, elected officials, former prosecutors and judges, a former Texas Governor, one of Mr. Buck’s trial prosecutors and a victim in the case who are also calling on Texas to keep its promise and give Mr. Buck a new, fair sentencing. In addition, over 80, 000 people have signed a Change.org petition supporting fair and colorblind justice for Duane Buck. At Mr. Buck’s 1997 capital sentencing hearing in Harris County, the trial prosecutor elicited testimony from a psychologist that Mr. Buck posed a future danger to society because he is African American. The prosecutor relied on this testimony to argue in favor of a death sentence. The jury accepted the prosecutor’s argument, declared Mr. Buck a future danger, and sentenced him to death. Three years later, then-Texas Attorney General (now U.S. Senator) John Cornyn acknowledged that reliance on testimony connecting race to dangerousness was wholly unacceptable and promised that the Attorney General’s Office would seek new, fair sentencing hearings for seven identified defendants whose death sentences were secured through the use of such improper testimony, including Mr. Buck. The State kept its word in every case –except for Mr. Buck’s. Mr. Buck was convicted of capital murder in Harris County for the shooting deaths of Debra Gardner and Kenneth Butler. A third person, Phyllis Taylor, was shot but survived. Due in part to her Christian faith, Ms. Taylor has forgiven Mr. Buck and does not wish to see him executed. Mr. Buck’s life was spared by the U.S. Supreme Court before his scheduled execution in September 2011. 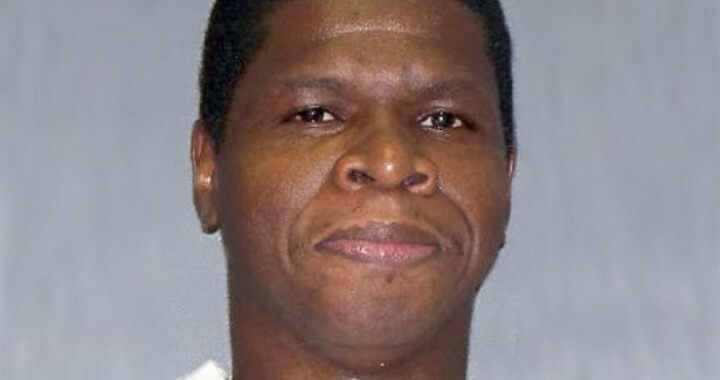 Two U.S. Supreme Court justices agreed that Mr. Buck’s death sentence required review because “our criminal justice system should not tolerate” a death sentence “marred by racial overtones.” Similarly, on Wednesday, three Texas Court of Criminal Appeals judges concluded that Mr. Buck’s case involves “a chronicle of inadequate representation at every stage of the proceedings, the integrity of which is further called into question by the admission of racist and inflammatory testimony from an expert witness at the punishment phase.” The case is now in the hands of state officials.